So, you’ve survived the startup stage with your existing QSR business but you’re not sure if you should start expanding. Approaching expansion with caution is smart, because there are a lot of considerations, investments, and projections that must be made before taking such a big step. Before you start bidding on additional restaurants, make sure you have a good handle on the following three benchmarks. Customers are the key to survival for any QSR restaurant. It’s crucial that you understand your current customers — their likes, demographics, and anything else that helps you serve them better. Before deciding to expand, dig into your current data and find out what’s popular with your current customers. For instance, you could analyze guest surveys or review purchase decisions using Voice of Customer (VOC) data from your POS system. This data can help you find related patterns and make projections in your customers’ future purchase decisions. Reach out to your best customers and interview them to get even deeper insights. Although researching current customers is important, there’s even more you can do. Research your potential customers to find out what’s popular in the areas you’re thinking of moving into. There are companies that will interview customers to find out why they made the purchase decisions they made, where they came from, how much they spent, and more. This information will help you paint a picture of your current customer, and will help you predict what they might do in the future. Get your feet on the ground and visit popular spots. Looking at success of other QSRs in the area can give you a good idea of how your store might perform. But, you also have to take into account the proximity of your other QSR location as well as the proximity of close competitors. Looking into the surrounding location and restaurants can be illuminating when trying to understand your new market and build a sales / profit projection for your own franchise. If customers are the key to your survival, then cash is the engine that keeps your establishment moving. Study how your cash flow is working: Where do you make the most money, and is that possible to perpetuate in a new location? 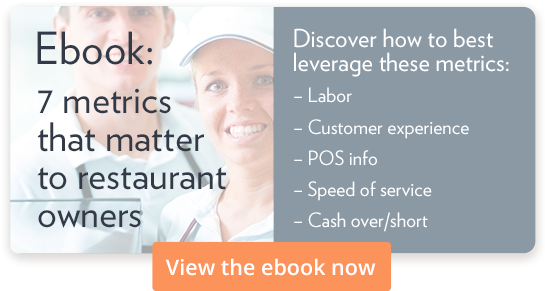 In your existing QSR, you might be hitting all your marks, but a new location is going to experience growing pains. Can you afford to manage slow growth in your new location? Your experience with your existing QSRs will help you intelligently establish the cash flow for your new QSRs. Your vendors affect your cost of goods sold (COGS) directly. If you have strong vendor relations, it probably means your costs are down, which helps your profit margins and makes your restaurants more successful. Think about these relationships before deciding to expand. If you’re still struggling, then it might be better to focus on strengthening vendor relationships first. This will mean more time, but ultimately it could mean the success of your QSR restaurant. Is cross-brand expansion the right move? You might think that opening another location under the same brand is the smartest approach. After all, you already know that brand well. But, opening a location under another brand is also a valid option. What should you consider when making that decision? Consider the impact on your existing restaurants: Bringing new brands into your area could cannibalize the sales from your existing locations. So, consider bringing in a complimentary cuisine that won’t take away profits from your existing restaurants. Look for easy wins: Many times, multiple brands are owned by one parent company. Working with the same company can be easier since you’re already familiar with their process and approach. So, will 2018 be your biggest year yet? It can be if you follow these tips for effective expansion.